It started as a fun game to play when I was younger, thanks to my father introducing me to it. 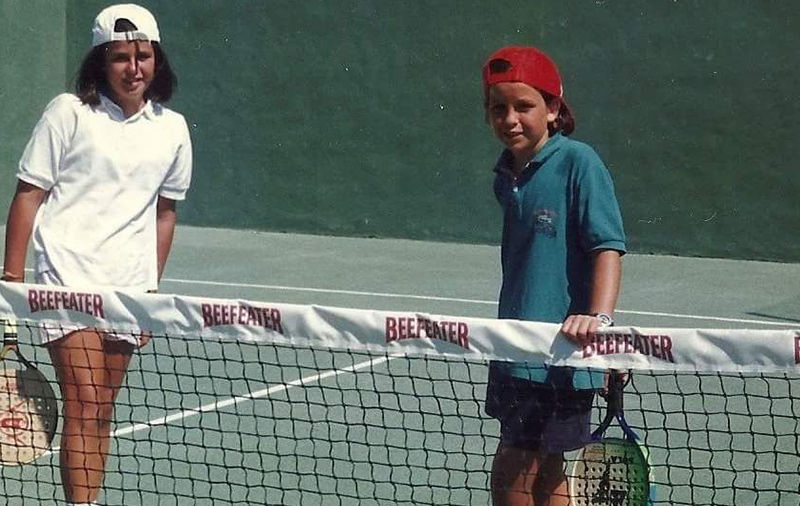 I pretty much lived in a tennis and padel club. Then, when I came back to Spain after studying for my degree in the USA, I started training for padel after several years without competing. I went to live in Madrid straight away and started playing competitively. I managed to get good results right from the start. And now I’m in the incredibly fortunate position of padel being my way of making a living. But I still feel the fun and the enjoyment every time I go on court. That’s the most important thing. I love the wide range of possibilities of the sport and the fact that you play in pairs. It’s great to have someone alongside you experiencing the game with you. For every match, I try to set an objective, and manage the situation, face the challenges and overcome them, despite the difficulties that arise. So much of the game is played in the mind. Your mind can make you think that nothing can stop you, but also it can knock you down. That’s why it is important to keep a positive mentality to allow your body to function to your full potential. I still feel the fun and the enjoyment every time I go on court. That’s the most important thing. 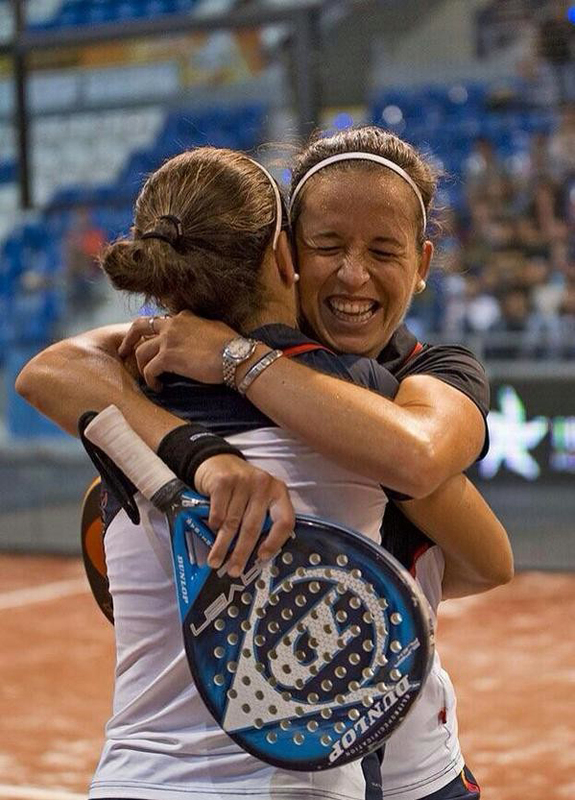 So far, my greatest moment was winning the 2014 Padel World Championships in Mallorca. It’s hard to beat the feeling of becoming the world champion. But whatever happens, it’s important to try to be objective with the goals I set for myself. If I don’t perform to the required level, I try to look for the reasons why so that next time it won’t happen again. You mustn’t go crazy over a bad result. Padel is for sharing and for enjoying with the person alongside you, who is always on your team. I think that approach is perfect for the sport and perfect for life too. I try to look after myself when I’m not playing, and control my diet. We train three to four hours a day and it’s important to give 100% intensity in every training session. That’s how you make the small improvements that can make a big difference to your game. Life passes by so quickly and you have to take advantage of every minute. There’s no better motivation than that. 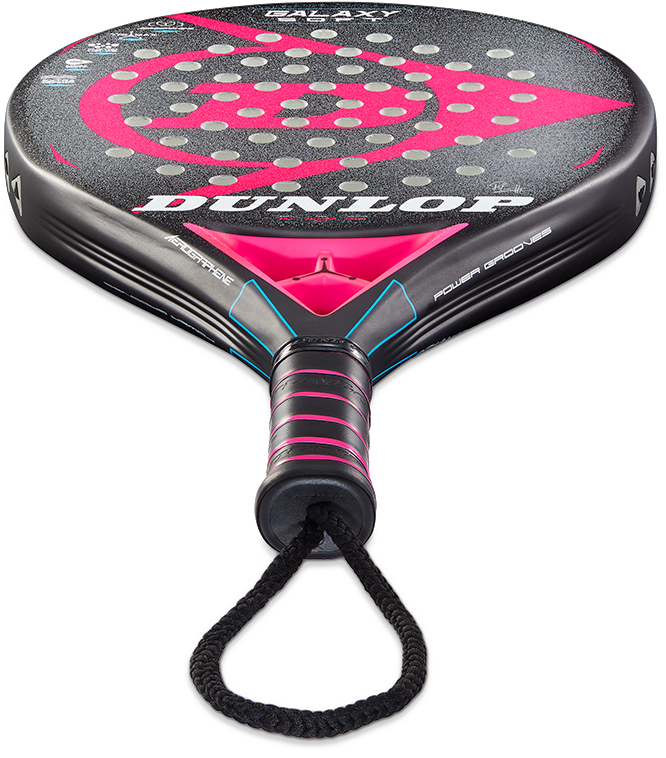 Padel is for sharing and for enjoying with the person alongside you, who is always on your team. I think that approach is perfect for the sport and perfect for life too. Its one of the reasons I love the game. We change our playing partner sometimes. That’s always a new project. I’ve been very lucky with my partners and have learnt a lot from all of them. Without them alongside me I would not have achieved the victories and titles I have won. For sure, the travelling and the life we lead can be demanding. But I try to take it in my stride and go one step at a time. Sometimes you look at the calendar for the year and it scares you a bit. The amount of things you have scheduled in. But then I remember how fortunate I am to do what I love most of all as my job. It’s not so bad. Plus of course we go to some great places. Playing in the Plaza Mayor in Valladolid is a spectacular setting. Though this year I may have to change my answer. Finally I’m getting the chance to compete in my home town of Murcia. I’m really excited about that. It’s important to keep things in perspective. To keep enjoying the opportunities that come up from my life and from my professional career. To relax, I love to follow other sports. I’m a football fan, I love tennis and I follow cycling. Away from sports, I like to read, to watch movies and go swimming in the sea. I also love dogs.